Andy Moderow started serving on the AAS Board in 2013. A lifelong Alaskan, Andy grew up racing sled dogs, finishing the Iditarod in 2001 before heading off to college. 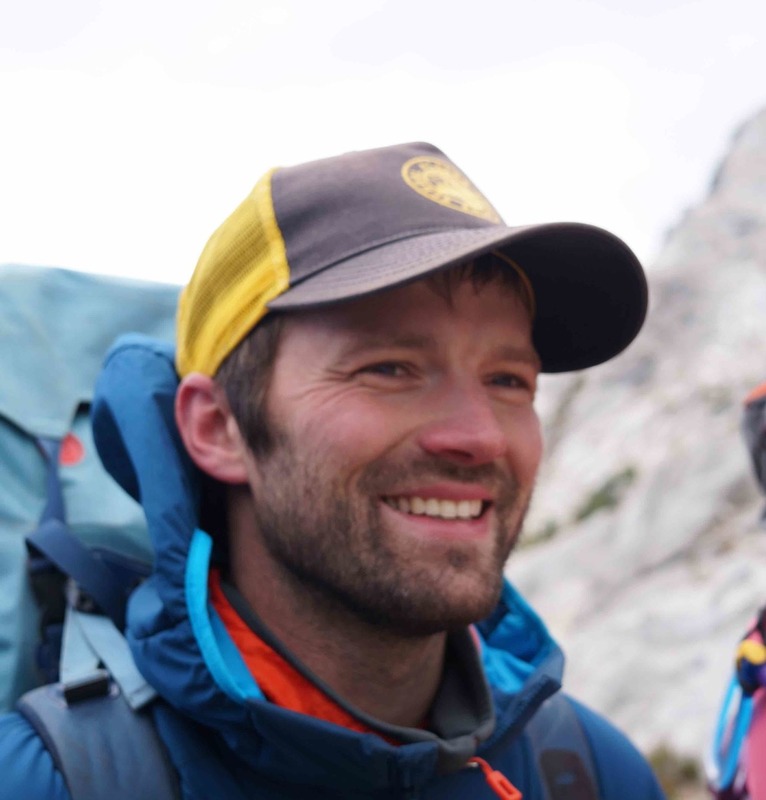 Andy brings non-profit management experience to the board, along with great familiarity of Alaska Avalanche School offerings: he has taken six courses during the past six seasons, including Levels 1, 2, 3, Hazard Recognition, a Level 2 Refresher, and the Spring Snow Workshop. Trip’s first exposure to Alaska was a semester NOLS program in the Summer of 1992. 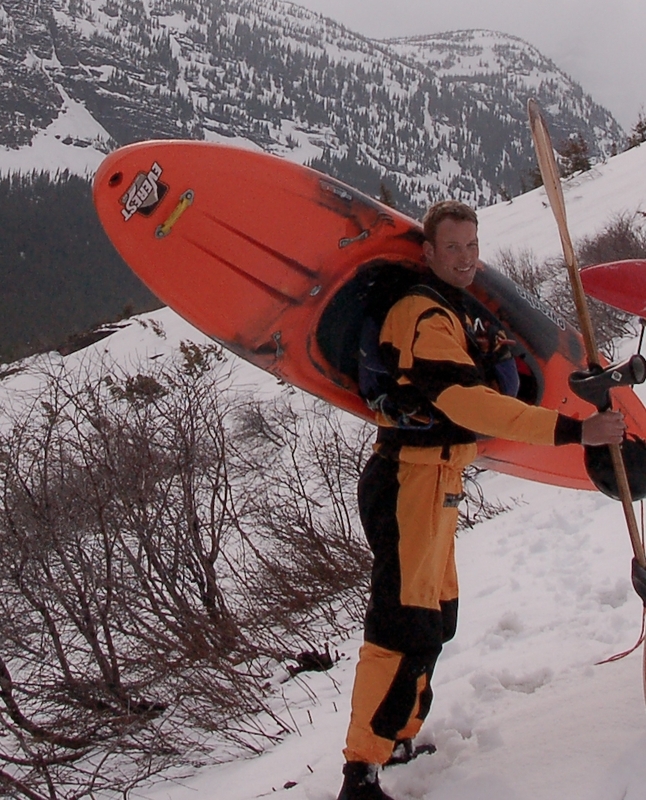 He returned to Alaska twice for sea kayaking trips with his wife before they moved here from Burlington, VT in 2011. He grew up in Redding, CT and Santa Cruz, CA and did undergraduate studies at UC Boulder followed by a masters degree in Anthropology from Northern Arizona University in Flagstaff, AZ. He then moved to Asheville, NC where he started whitewater kayaking, met his wife, and got a nursing degree. Trip has been a critical care nurse for the past 15 years. He started serving on the Alaska Avalanche School Board in 2014 and is an active volunteer for Ski Patrol at Arctic Valley. He has always made it a priority to live near the mountains or water. His main passion is playing on all things water - frozen, liquid, and that which is metamorphosizing! Peter Wadsworth started backcountry skiing when he realized that New England's reputation for icy conditions only pertained to the resorts and there was plenty of powder out there for those willing to work for it on less trampled mountains. He took his Level 1 Avalanche course in Vermont in 2009 and found the course to be the perfect intersection of his passion for skiing and his career in engineering. Peter started reading all he could on snow science and attending the annual ESAW meetings in New Hampshire. His passion for sharing the joy of backcountry skiing led him to photography. His photos have appeared in several national magazines and been used by brands such as Osprey, Backcountry.com, Cloudveil, Karhu, and Outdoor Research. In 2016 Peter moved to Alaska to pursue even snowier mountains. He completed Level 2 and Mountain Weather Forecasting with The Alaska Avalanche School and has been reaching out to every avalanche mentor he can find to learn more about how to make good decisions in the mountains. He was asked to join the Board of Directors in 2018. Soren Orley, CPA, CFE has over 30 years of career experience in finance and accounting. Soren has served as an auditor, controller, and chief financial officer for organizations in both the private and public sectors. Soren is a volunteer with the Alaska Mountain Rescue Group (AMRG). Soren has been an active member of AMRG for over 28 years, where he has used the avalanche training he received at AAS many times. Soren, besides serving on the AAS board, currently serves as the treasurer for the Alaska Injury Prevention Center. Jessie Janowski grew up nordic ski racing in far northern Vermont. She transitioned in 2001 to earning steep and deep backcountry turns while in college and continued exploring undeveloped mountains through post-grad and medical school. Jessie took her first avalanche course in Vermont in 2010 and got hooked on the science side of snow evaluation and complexities of human decision making in the mountains. 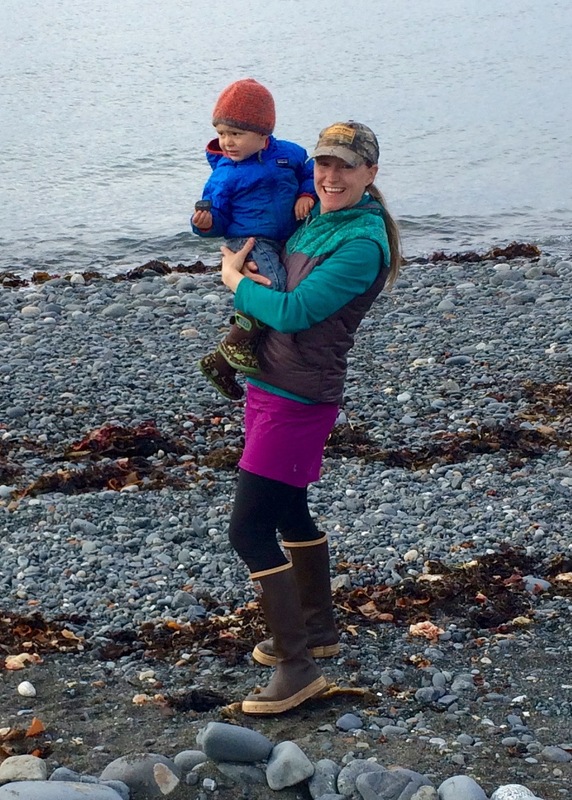 After completing her orthopedic surgical fellowship training in New York City she was presented with the decision of whether to go big or go back home, so she moved to Alaska. Jessie took her Level 2 Course with Alaska Avalanche School in 2016, and completed the Mountain Weather Forecasting class in 2017. She was asked to join the Board of Directors in 2018. She is currently trying to add deep powder snowmachine driving skills to her quiver of backcountry skills. Jason moved to Alaska from Washington in 2007 following mountains and more snow. Since coming to Alaska he has spent his time climbing, skiing, flying and exploring in the many interesting places this state has to offer. Jason is currently an owner at Alaska Backcountry Rentals and a buyer for Alaska Mountaineering and Hiking. He is always looking for both the next trip and to learn new skills to facilitate future adventures. Paul Wunnicke, an alumnus of the Alaska Avalanche School and Instructor from 1993-2002, is an avalanche forecaster providing risk assessment, site mapping and hazard reduction services to a variety of clients, primarily utility companies. A lifelong Alaskan, Paul became interested in avalanches through backcountry skiing and ski mountaineering. Married with two children, Paul’s primary goal on every adventure is to come home to his sweetie by the fire. Janeen Hutchins joined the AAS Board in January 2016. For the last 20 years, Janeen has worked in multiple sectors of the outdoor education industry, including wilderness education, wilderness therapy and leadership education. She is currently the Alaska Director at the National Outdoor Leadership School (NOLS) based in Palmer. Janeen brings non-profit management and outdoor education experience to the board. Janeen is a graduate of our Level 1 Refresher course. Growing up in the Upper Peninsula of Michigan, Katie developed a love for winter, wild places, and skiing at a young age. After moving to Alaska, Katie quickly recognized the importance of avalanche education if she wanted to safely play in Alaska's mountains. Taking level 1 and level 2 courses with the Alaska Avalanche School upped her confidence, and have helped her make more informed decisions when skiing in forecasted areas like Turnagain and Hatcher Pass, as well as remote areas like the Wrangells and Brooks Range. Katie is a senior staff attorney at Trustees for Alaska, a public interest environmental law firm based in Anchorage. She holds a J.D. from Lewis & Clark Law School and an M.S. in Environmental Policy from Michigan Technological University. Alex is a professor at Alaska Pacific University who joined the Board in 2018. Alex grew up skiing and climbing in New England, and eventually made his way north after receiving a Ph.D. from the University of Colorado, Boulder in environmental philosophy. Alex studies the ethics of environmental change and teaches courses in philosophy and environmental studies at APU. Outside the classroom, he has also worked as a ski guide and environmental educator, co-founded the country’s highest backcountry ski race, and has been writing and reporting on the outdoors for the past 4 years. Alex loves exploring the mountains that make Alaska the greatest place on earth, and good decisions in the snow starts with a good avalanche education.